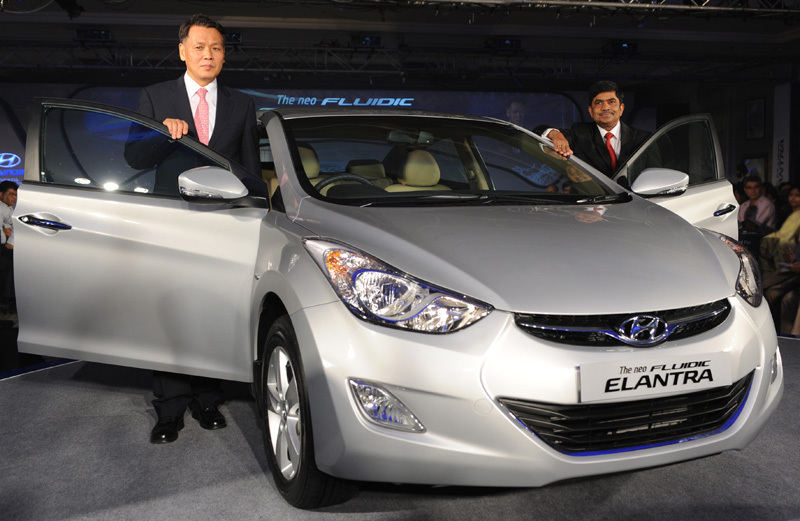 Hyundal has revealed the new feature laden Elantra Fluidic sedan for the Indian market with the starting price tag of Rs. 12.51 lakhs. The new vehicle will compete with other cars in the D-segment and will be available in both petrol and diesel variant. The top end diesel version will cost around Rs. 15.85 lakh. The new fifth generation Elantra Fluidic will be in direct competition with Skoda Laura, Renault Fluence, Toyota Corolla Altis, Chevrolet Cruz and other top runners in the segment. In international markets Elantra is powered by a 1.8 liter VTVT petrol engine delivering 150 bhp and about 178 Nm of torque. But in India the sedan will also feature a diesel mill, the same 1.6 liter VGT engine from Verna with an output of about 126 bhp and a torque of 260 Nm. Hyundai is known for making feature loaded cars and same goes for the Elantra also. Two air bags and ABS had been fitted as standard across all versions. However, the top end version will possess six airbags, electronically adjustable seats, cruise controls, push start etc. the company will also be offering six speed automatic transmissions across both top end petrol and diesel variant. 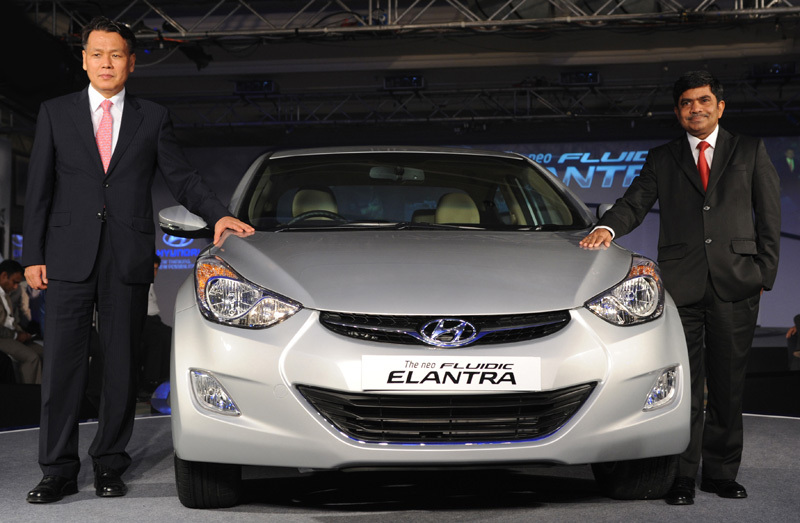 The Elantra has already crossed about over 750 pre-bookings in last month.